Hello readers! I am a delicious cookie recipe! OM NOM NOM! 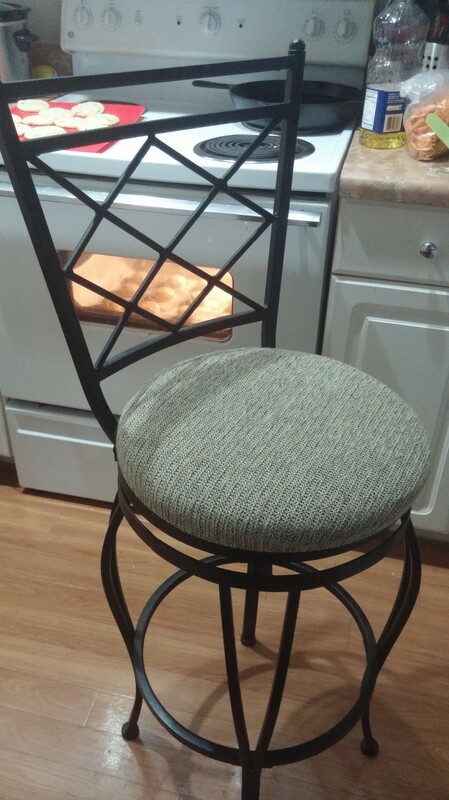 I am a majestic sick chair. I helped a broken Mely bake some cookies. I am a champion. I’ve been thinking about this recipe for a couple of weeks now. I’ll be real real with you guys right this second, I am beyond pleased with my results. 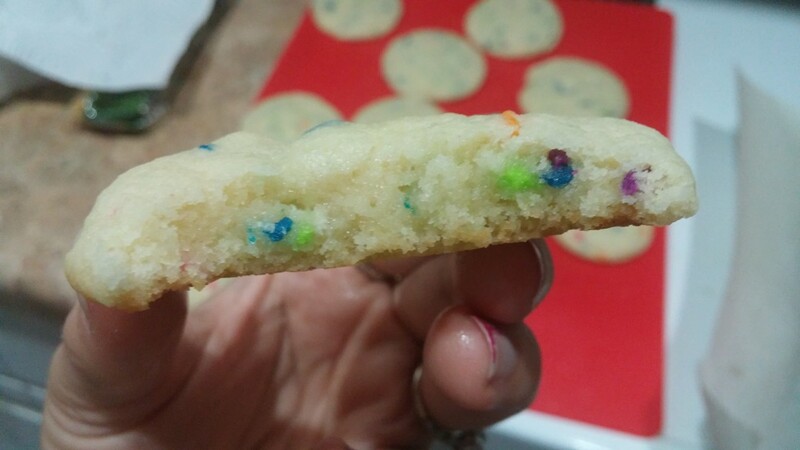 These cookies taste like you’ve just taken a bite into a majestic piece of funfetti cake which is one of my big sister’s favorites. 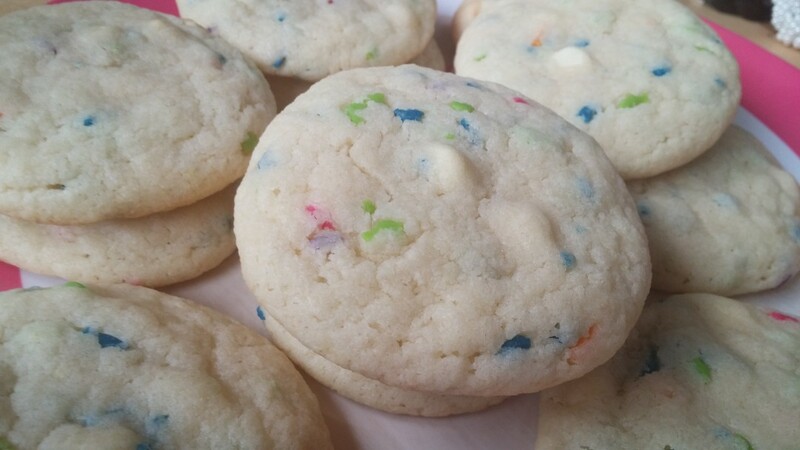 If you don’t like funfetti then you aren’t being festive enough. 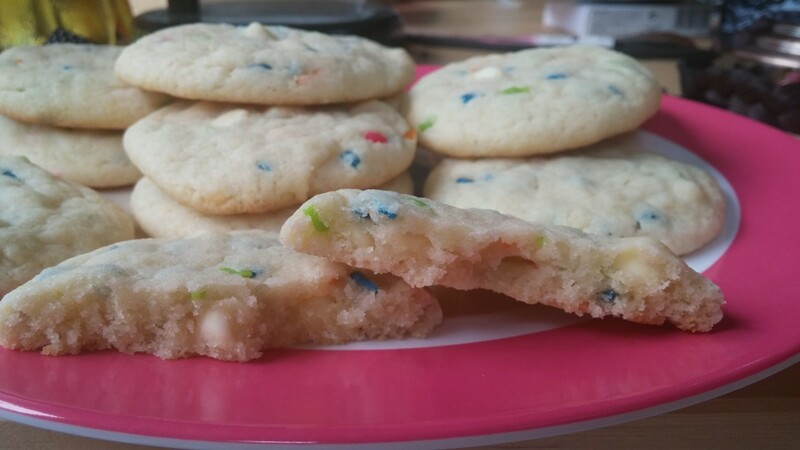 Throw yourself a little party and get ready to being baking these fantastic cookies. A lot of sprinkles. I didn’t measure these. I just went with it. I’d say maybe 1/2 a cup or a little less depending on the size of your sprinkles. 1. Waddle your way to the kitchen, rest on your sick chair, if you do not have your sick chair pet your lucky festive item but remember during this entire baking voyage, you are to remain completely festive and happy. Once you’ve had a little party, you may preheat the oven to 350 degrees. 2. First things first, grab those two sticks of butter and make them dance. They need to be at room temperature so make sure they work up that sweat. Maybe play some funky music and show them how it’s done first. Once the sticks of butter are nice and warm, add them to your mixer alongside the sugar and vanilla. 3. As soon as these ingredients are nice and fluffy, add the flour, baking soda, and eggs to the fluffy festive mixture. 4. It is now time to add the sprinkles! A lot of people like to use very specific sprinkles for funfetti cookies or cakes but not I. I chose these dolphins sprinkles that my friend Katrina gifted me. It’s stinkin’ summer and I am all for the sea critter magic this time of year. 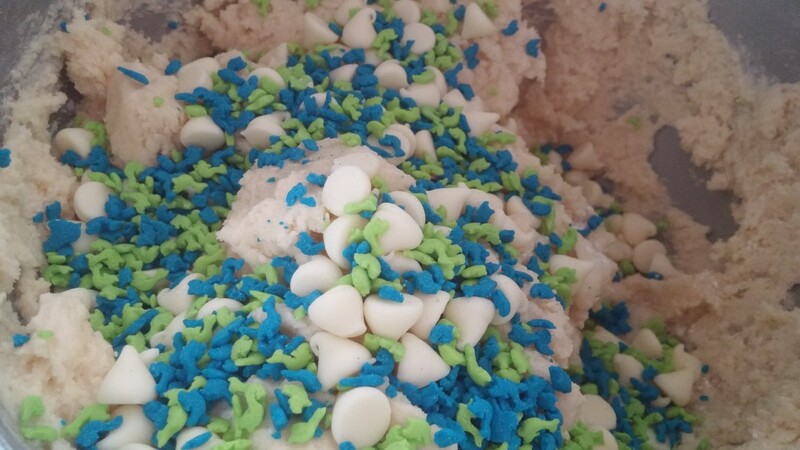 Fold the fantastic sprinkles you chose into your delicious cookie mixture alongside those delectable white chocolate chip morsels. 4. Approaching the cookie sheet with caution. It has been quite some time since you used it last and it seems to be feeling temperamental. Calm it’s fury with some cool greasing spell of your choosing and while you’ve lulled it into a false sense of security, line it with parchment paper. It might resist at first but I’m sure it will calm down once the parchment paper takes its place. 5. Bake the cookies for 10-12 minutes. Oooh yes. I will make these. And then I will overdose on deliciousness and it’ll be so worth it. I am all about overdosing off based goods. YES! Thank you! I felt they were particularly summery. Working on it, honey. <3 You're the bestest. Sprinkles are big at my place when my grandchildren visit. 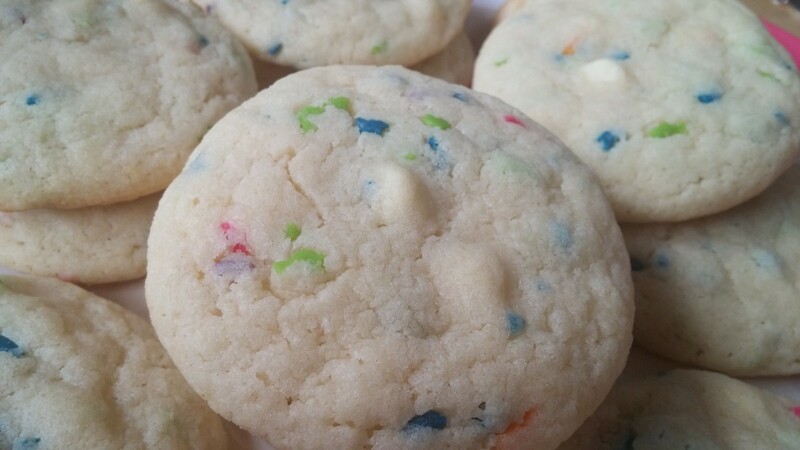 Oh my gosh I love Funfetti so much! I must make these!